There’s a little more green and a few splashes of colour this week, but despite the lack of blue skies today the best thing has been the intermittent sunshine over the past few days. 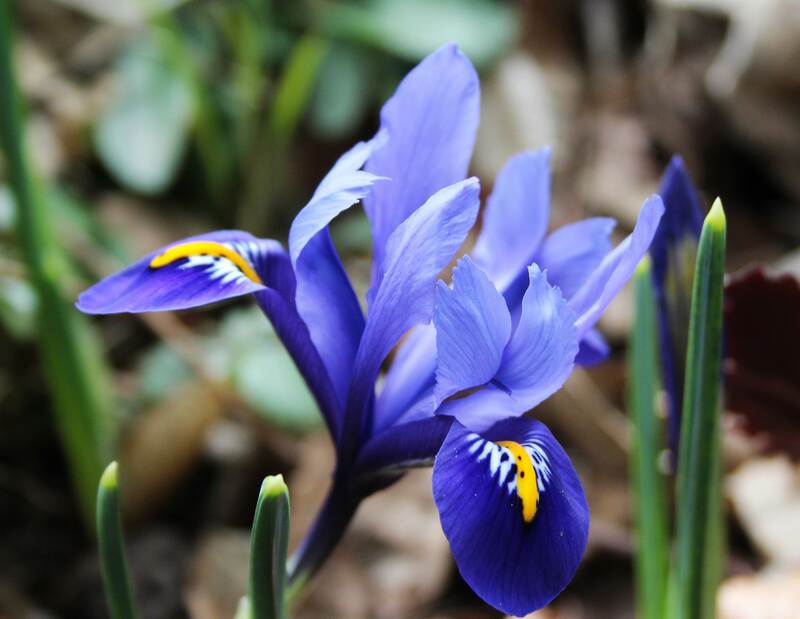 It’s still not terribly warm outside, but warm enough for this little Iris reticulata to open! On the other hand, my kitchen is lovely and warm – I’ve just made my Shrove Tuesday pancakes, with the traditional lemon and sugar of course. Old habits die hard. 😉 I posted my recipe for them a couple of years ago here, and the photos of them are here…. so if you’re hungry, take a look! This entry was posted in Days, Food, Garden, Nature, Traditions, Tuesday View and tagged Food, Garden, Holidays, Nature, Recipes, Spring, The Tuesday View, Traditions, World Days. Bookmark the permalink. Beautiful blue and yellow shade ~ fits with Carnival 🙂 Do you celbrate “Rosenmontag” and these days in Britain? Meanwhile I have read your first link 🙂 To me, Pancakes would be enough for carnival. My earliest memory of garden flowers is of the purple iris and was fascinated by the velvety yellow combination. That colour combination is one I dislike anywhere else except on this flower! Thanks for your comment and hope all’s well with you. Happy Pancake Day to you too! Did you go racing today 😉 ? Sadly not… Hope you had some pancakes too! I must admit I forgot all about it ;-( Next year! Your view has progressed and looking grand. The Iris reticulate is so gorgeous. And lemon and sugar–yum! The Iris is just stunning! Spring is surely on the way! Pancakes are wonderful on any day! Maple syrup and jam are how we treat our pancakes to special occasions! Oh wow, beautiful iris Cathy!! Love iris, great picture! Lovely iris! And I’m absolutely with you – my pancakes have lemon juice and sugar every time. There’s no beating it! Oh my green and flowers how nice! We had pancakes today, gluten free of course. Yummy! I was hoping to make pancakes this morning too, but my schedule didn’t give me time! I will have to live vicariously through both your pancakes and your stunning Iris!! Isn’t it delightful just to see the landscape starting to rub its eyes, stretch and wake up! 🙂 Pancakes to celebrate! The Iris is lovely, mine are already over so it is nice to be able to continue to enjoy them through seeing yours. The view today looks sunny and spring-like too. In a way I’m glad it hasn’t been too warm and sunny, as the spring flowers tend not to last as long… the iris are opening at a rate of one every 2 or 3 days, nicely staggered so I can enjoy them longer! The forecast for the weekend is very warm though – maybe even 20°C! We will see! Hi Anna. Spring seems to be creeping along so far, but maybe it always does and will suddenly take off in a few days! Your iris is lovely – so delicate, and a welcome splash of colour too! Hope you enjoyed your pancakes. My kids convinced me this year that we had to have American pancakes with maple syrup and blueberries! Hi Sarah. The pancakes were so delicious and the memory will keep me going through Lent, where all things sweet are to be shunned. (Except fruit of course!) I do love the American pancakes too, but I just have to do some flipping once a year and the sticky lemon and sugar brings back such nice memories of home! That iris is gorgeous. 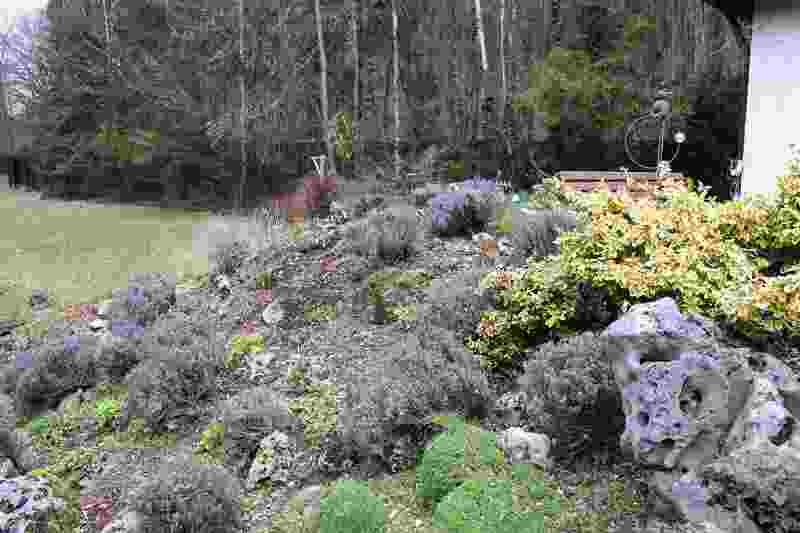 Nothing is growing in our flower beds yet, partly because every other day the temperatures drop dramatically here. I want to try those pancakes. They sound great! Yes, indeed. I’ve forgotten what it’s like to not wear several layers to bed at night. Bring on the warmer weather. I would like to place my order 🙂 They look very tasty. Enjoy the iris! Pancakes with lemon and sugar sound very good. Do you have something like paczki (jelly doughnuts) in Germany for this time of year? Thanks! Hope you have some flowers soon too, although your winter seems pretty persistent from what I hear!